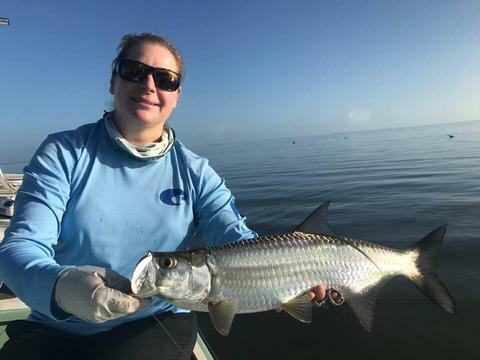 Colleen with her first tarpon on fly! Weather and fishing has improved the last few days... We found a lot of hungry tapon yesterday, rolling on the surface. Went out fishing/ scouting with my buddy Bo today.. Found some large barracudas that wanted to play.. It is a blast sight fishing barracudas in shallow water.. They are increadbly fast, make some great jumps and make for good pics too! A little cool, cloudy and windy earlier last week.. 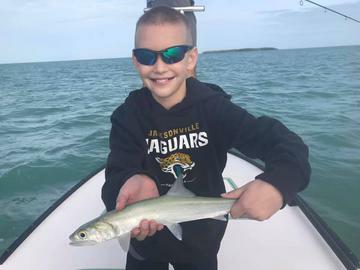 But that did not stop us from having fun.. Mike and his 11 year old son had a blast with sea trout, lady fish, jacks and sharks Fun day! 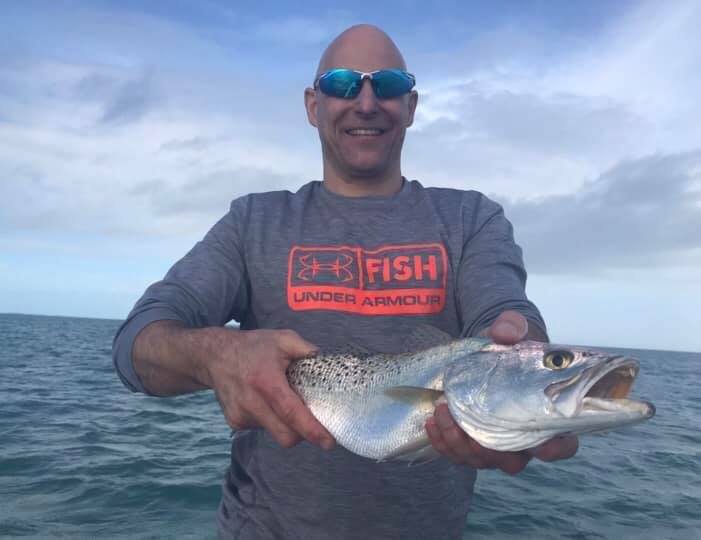 The weather and the fishing has been good here in the Lower Florida Keys. We do have a minor cold front on the 27th, but temperatures will be back in the 80's this weekend. Here are a few photos from last week. 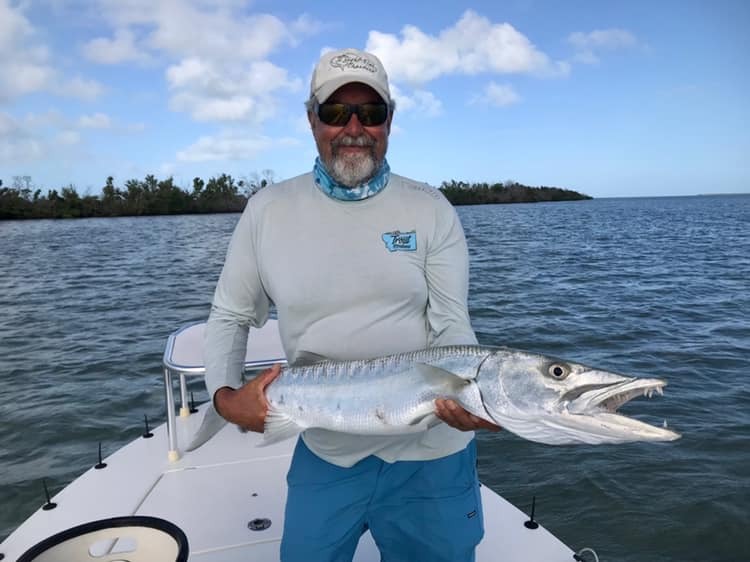 This is the time of year, when the big barracudas start to move onto the flats here in the Florida Keys.. Barracudas are a blast to sight fish! They can hit 30mph and make some spectacular jumps.. In this season of thanks I have many things to be grateful for. One of them is wonderful friends and clients like yourself. Thank you for your friendship, fishing with me and Happy Thanksgiving! Wishing you peace, health, happiness and big fish throughout the year ! Shrimp hatch this morning! 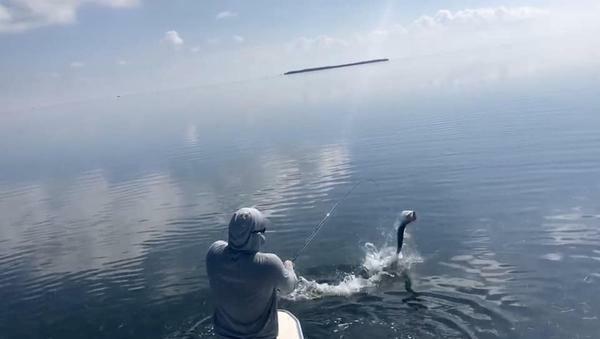 We had tarpon crash shrimp for over an hour this morning. Jumped a bunch of fish on fly and surface plugs. 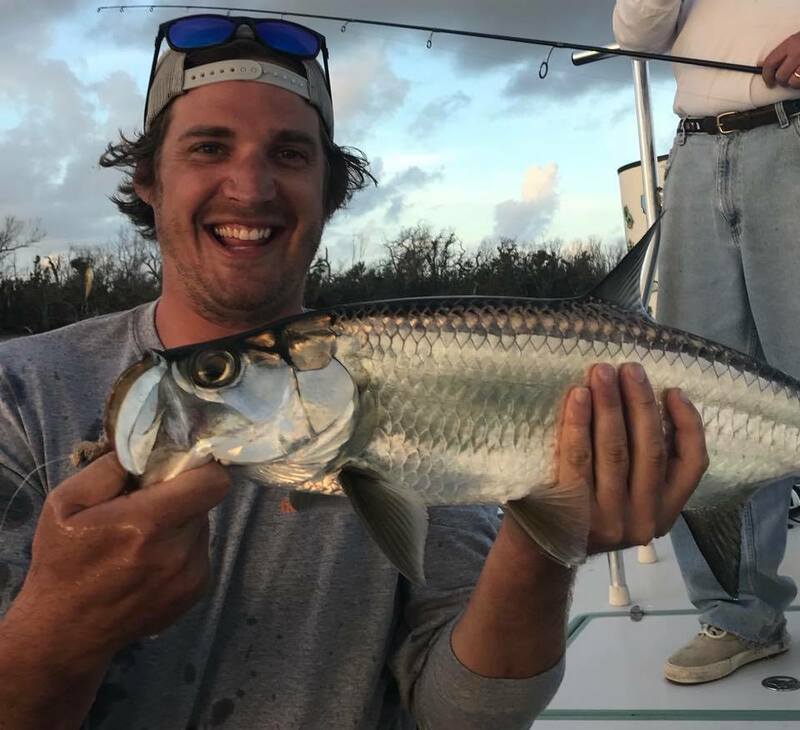 Preston caught his first tarpon on fly. Got to fish Saturday morning with my buddy Bo... It was hot... Permit were everywhere but the slick, calm conditions made it tough. 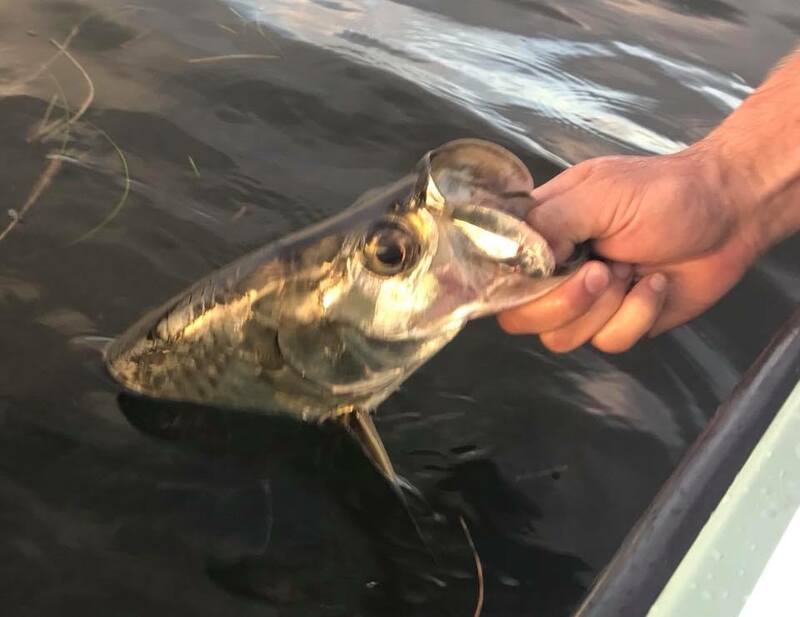 The tarpon were eager to play though. 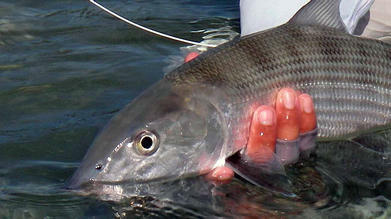 Fall is my favorite time of year for baby tarpon, bonefish and permit! and the worse the problem, the longer the trip should be." 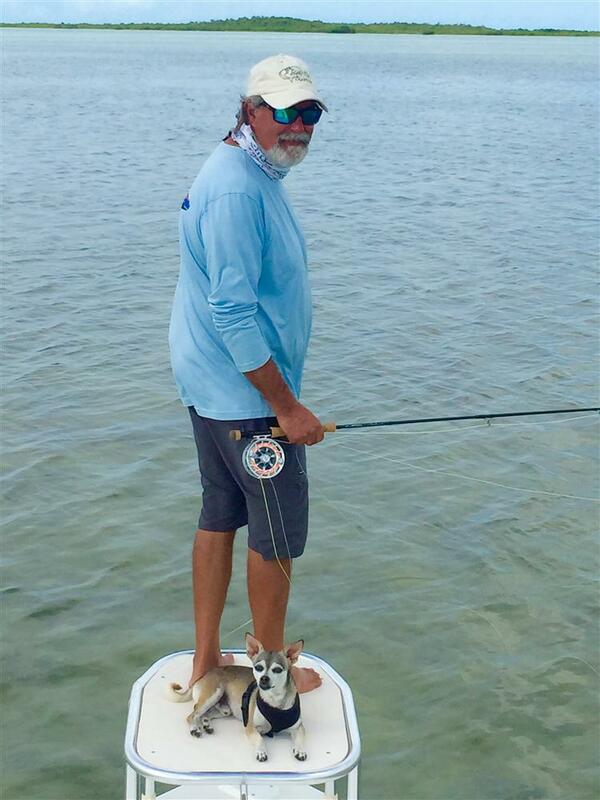 The weather and the fishing has been hot this last week..
Fall is "Off Season" here in the Lower Florida Keys... No snow birds and few tourists... But the fishing is good.. 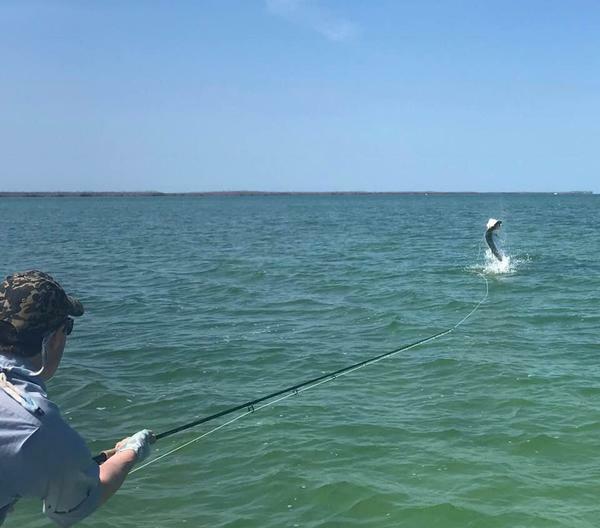 There have been lots of tarpon cruising the ocean side flats on the right tides.. Some of the schools are very big. 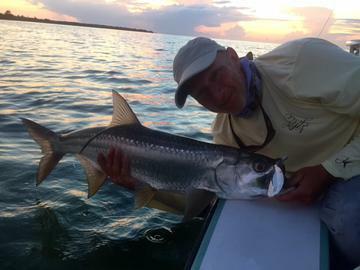 Tarpon are in the back country basins, channels and channel edges also. The ones in the back will feed better, but we will get lots more shots ocean side..
Juvenile tarpon are here year round and are lots of fun.. Early mornings on the right days we can find them rolling in top... 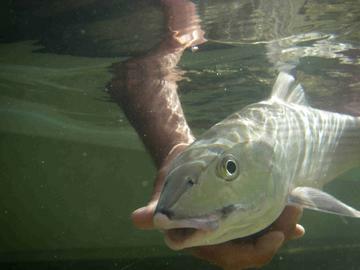 They will eat a surface fly or top water plug... Fun Stuff..
Bonefish are a fun option too! Most of the permit have been off shore spawning, but will return to flats around the end of May. I still have some days available in May... Memorial day weekend just opened up... Also have days available in June..
Well it was bound to happen sooner or later,,, We got our first real cold front of the season... Temperatures down in the 60's. 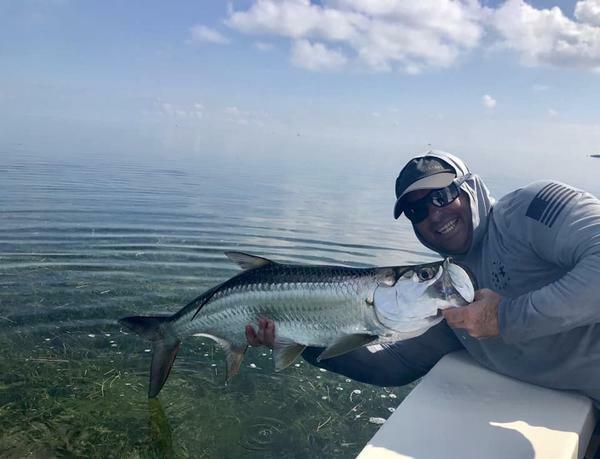 But will warm back into the 70's in a few days..
Lower water temperatures bring large barracudas up on the flats to warm up. Barracuda fishing is a blast! 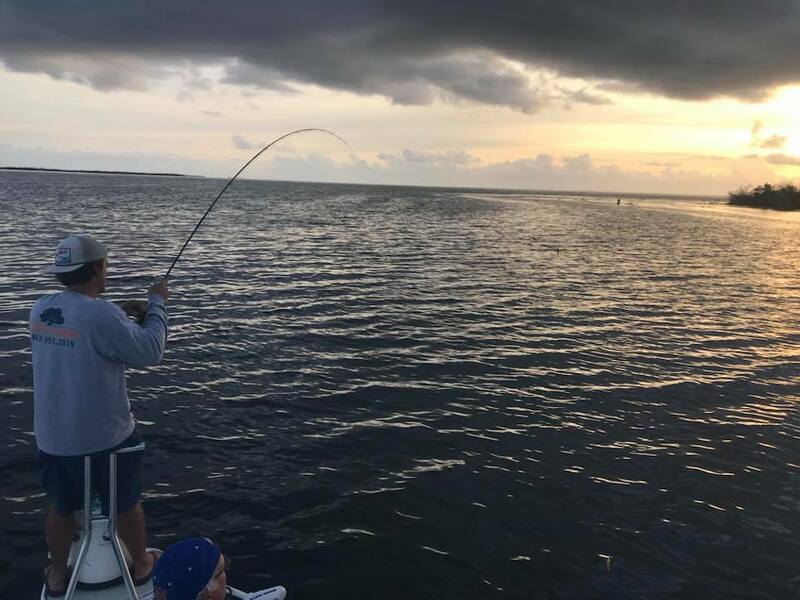 We pole across the shallow water flats, spot the barracuda, cast beyond them and then reel the lure by them at a high rate of speed... When they start to follow reel FASTER!! Make it look like the lure is getting away.. You can't reel faster then they can swim... Takes are violent, they jump and can run a couple hundred feet in seconds.. 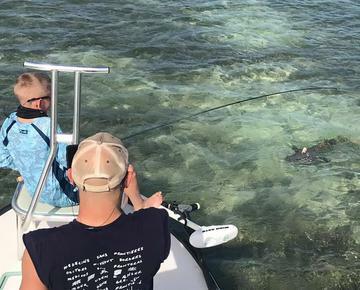 The same flats we fish for barracuda also have lots of sharks from 2 foot to 8 foot long... Sharks are a fun option on cooler days too.. 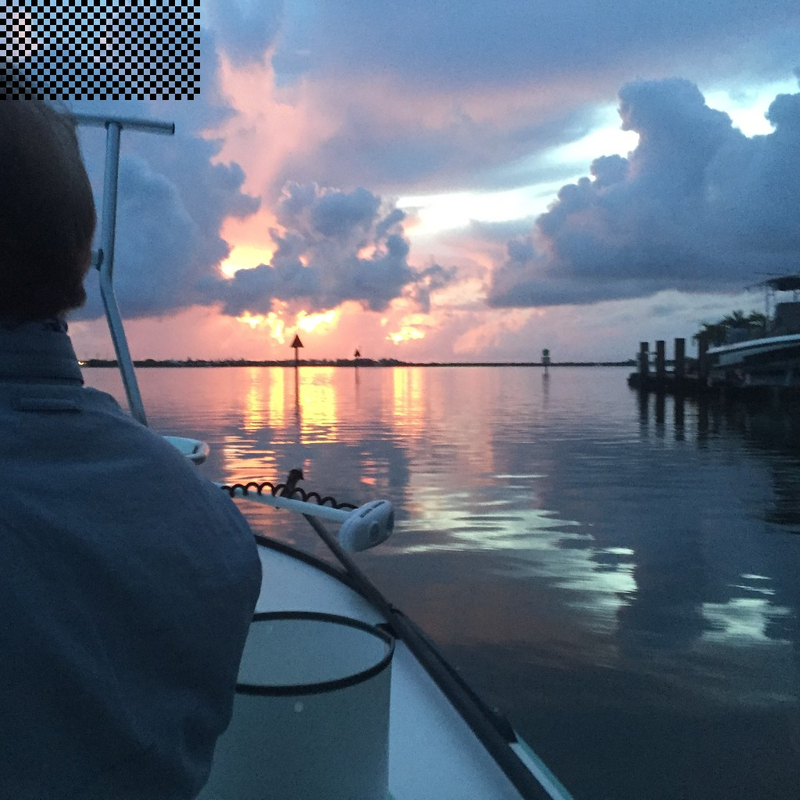 Fishing isn't the only reason to visit the Florida Keys. 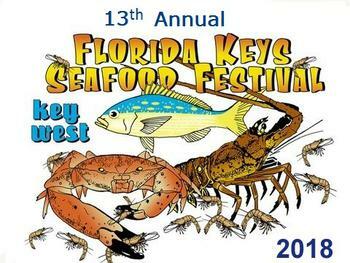 Delicious, fresh seafood, nautical vendors, hands-on kids activities, great live music and new boat show! Happy Holidays From the Florida Keys!! The weather has been great this week... Warm, sunny and light winds... Fishing has been good!